2006 Grady - White 360 Express 2006 Grady - White 360 Express, Grady White 360 370 Express. Fully re-done to brand new specs in 2016. 2016 New Yamaha F300 Engines. Warranty through 2021. Tower made by Wanchese Welding Shop. Boat is Showroom new. Over $160k in upgrades in 2016. Ready to fish!!! 2008 Grady-White 360 Express THIS IS A ONE OF A KIND 36 GRADY WHITE CUDDY EXPRESS. IT HAS A FULL CUSTOM MARLIN TOWER WITH 34 ROD HOLDERS AND 24 CUP HOLDERS. THE TOWER JUST RECEIVED THE FULL ALUMINUM COATING TREATMENT AND HAS NO CORROSION. VIRTUALLY ALL THE ELECTRONICS WERE JUST REPLACED WITH ALL THE LATEST AND GREATEST IN JUNE 2014. Over 60K was spent on the new electronics. NEW BOTTOM JOB IN June 2015. TRIPLE YAMAHA 350hp 4 Strokes. ALL ENGINES AND GENERATOR JUST RECEIVED ALL FLUID CHANGES AND MAJOR SERVICE. The fishing tackle pictured in this listing and all other personal items are not included in the sale of the vessel. JUST REDUCED 30K. 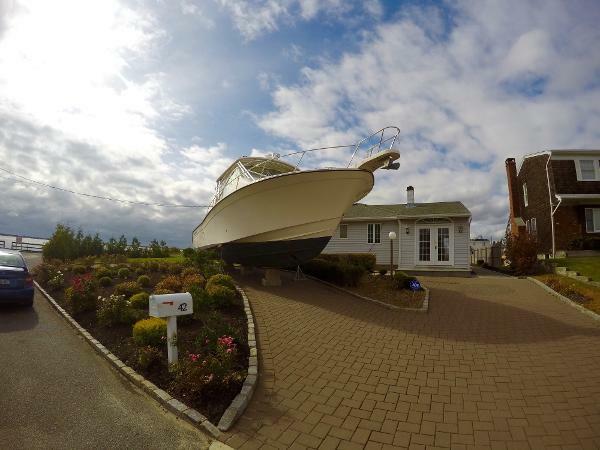 SELLER HAS FOUND HIS LARGER BOAT. JUST REDUCED ANOTHER 28,500K. 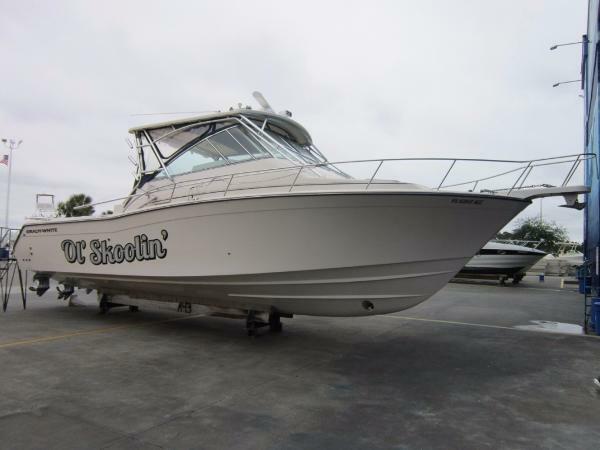 2006 Grady-White 360 Express, 2006 Grady White 360 Express with triple Yamaha 250 Four Strokes and less than 275 hours!! 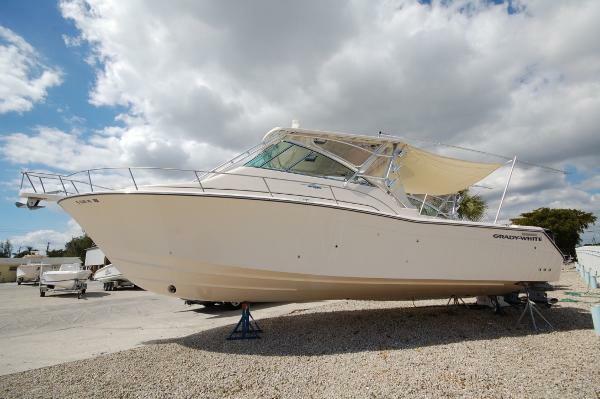 !This premium Grady White 360 Express comes equipped with a full Furuno electronics package that includes twin Nav Net units, Open Array Radar, Auto Pilot and Cockpit and Transom Chill Plates. This boat is rigged with a Bowthruster and a Diesel Panda 8KW Generator, outriggers and more! This boat has never been kept in the water.One of the few with no bottom paint. 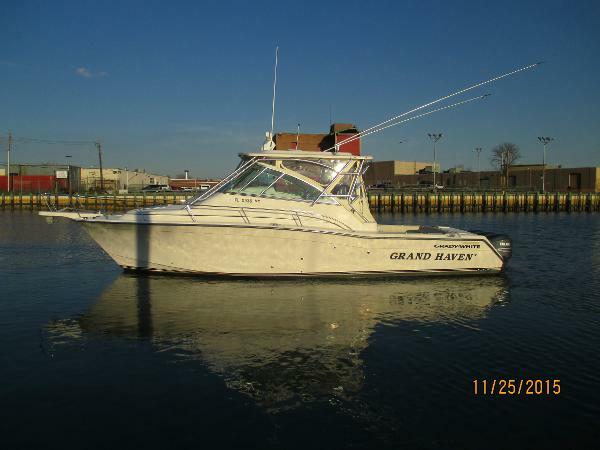 This boat has been kept and fully serviced at a premium facility and ready to fish year round. You wont find one nicer than this on the market today! 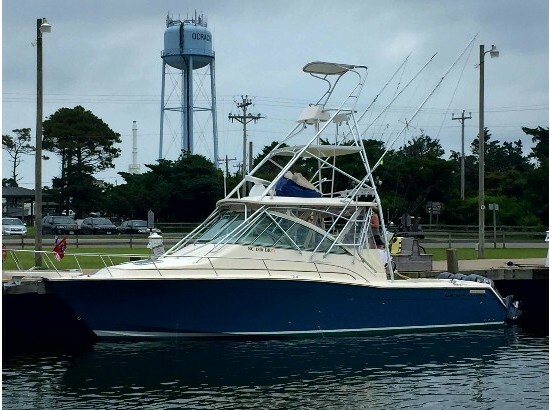 2007 Grady-White 360 Express, This is a quality built Grady White 360 Express Sportfish ready to go with 24' Lee Outriggers located in Palm Beach Gardens, Florida. Great for the fisherman, family or weekender boat. All accessories including AC, Panda 8kw generator. All engines have been recently serviced for the 2016 season. 940 hours on engines. 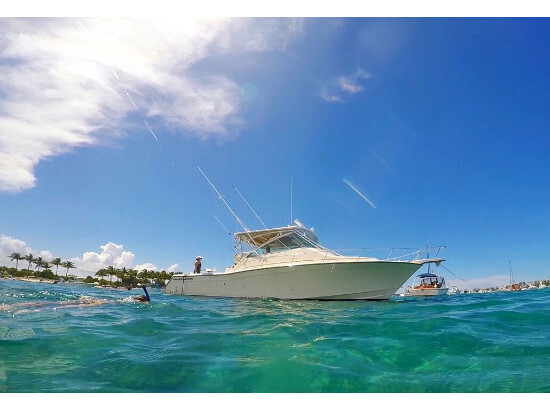 This boat is in excellent shape and you will not be disappointed. Has all amenities that you would expect to find on a Grady White. Call or e-mail me for more information, Robert Beck (352) 875-7047 or rjbeck61@gmail.com. $199,900 Seller will also look at trades of all kinds. Bring offers! 2006 Grady White 360 Express 2006 Grady White 360 Express with triple Yamaha 250 Four Strokes and less than 275 hours!!! This premium Grady White 360 Express comes equipped with a full Furuno electronics package that includes twin Nav Net units, Open Array Radar, Auto Pilot and Cockpit and Transom Chill Plates. This boat is rigged with a Bowthruster and a Diesel Panda 8KW Generator, outriggers and more! This boat has never been kept in the water. One of the few with no bottom paint. 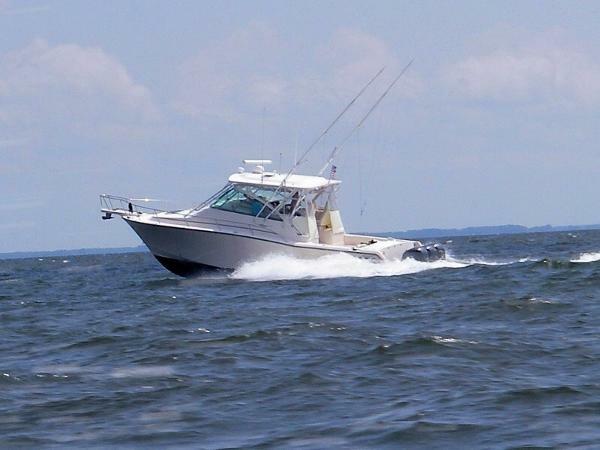 This boat has been kept and fully serviced at a premium facility and ready to fish year round. You wont find one nicer than this on the market today! 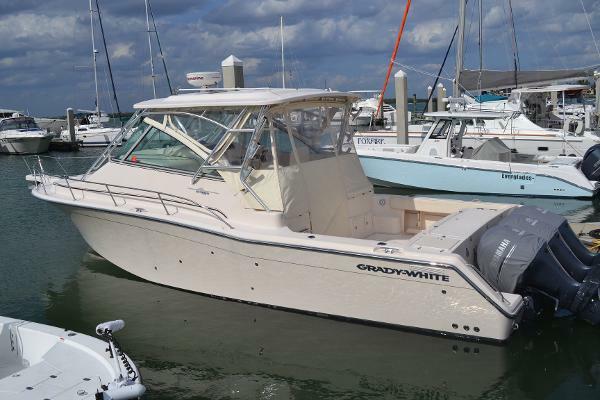 2005 Grady-White 360 Express Quality Build in High Condition-2013 Electronics, 2015 Updates Your ideal boat is now affordable. The Grady White 36 will get you safely offshore and back in comfort. Capable of serious fishing and pleasant cruising. Triple Yamaha F250 power with 874 hours, Fischer Panda 8kw diesel genset with shield at 940 hours. Installed new in 2013: Garmin dual 7212 color screens for radar, sounder, chart plotter, autopilot. New in 2015: full enclosure, coaming pads and Flexiteek decking. History of consistent professional service. She needs nothing and is seriously priced for a qualified buyer. Performance reports provide cruising 26 or 27 knots at 4,500 RPM consuming 11 gallons per hour per engine. Achieving approximately 1 mile per gallon for good economy in real circumstances. With her fuel capacity of 370 gallons, you can get some good range at good speed. 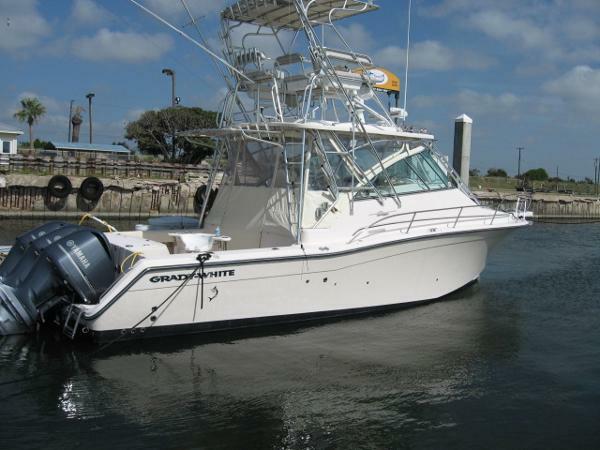 2008 Grady-White 360 Express PRICE REDUCED!! Nicely Equipped, this 360 Express stays in a covered slip each Winter. Powered by triple F350 Yamaha 4 stroke motors (All Yamaha Service and Preventative Maint is up to date), Fisher-Panda Diesel Generator, HVAC for the Cabin & Helm deck, Full Furuno Electronics Suite with Radar Chartplotter overlay (64 mile open array), Autopilot, Bow Thruster, Awesome stereo, NEW Anchor Windlass. The Beautiful cabin features excellent headroom, Teak & Holly sole, Corian Counters, 2 drawer Refrigerator/Freezer, HDTV with DVD player, Gaming Ports, Outriggers too! Wow, this boat is loaded! !